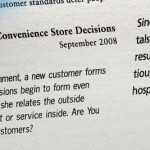 Clean is clean and there’s no excuse for poor service or subjectivity in the end results. When you walk into your workspace you will know that your cleaner has been there. Your desk will be clear and clean, your chair placed just how you like it and your waste bin empty and sanitised. Our day cleaners are efficient, silent and always willing to help in any way they can. Our training programme includes the task and chemical training you would expect but we go further with our “customer experience” training to ensure our team takes the same pride in your building that you do. We specialize in providing top quality janitorial and office cleaning services to a variety of infrastructures. You have multiple properties with multiple needs. Let LionHart Cleaning be your one source for cleaning. Whether it’s several buildings in the same city or multiple buildings LionHart Cleaning has the infrastructure and support to get the job done. You’ve invested in your building, so you demand a business cleaning service that understands your situation. 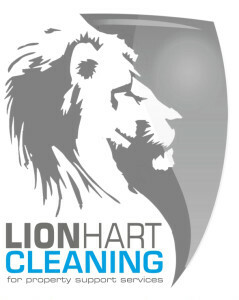 At LionHart Cleaning we understand and appreciate the commitment of your purchase. You strive to demonstrate the most value in your building. Your tenants come to expect it. At LHSS, we deliver beyond expectations. Our commercial cleaning programs are tailored to fit the individual needs of each client and/or tenant. No matter what your needs may be, LionHart can deliver a cleaning or janitorial services program that provides consistent, quality cleaning that enhances the value of your office building. For office cleaning, business cleaning and building maintenance call Lion Hart Security Services, the undisputed King of Clean.